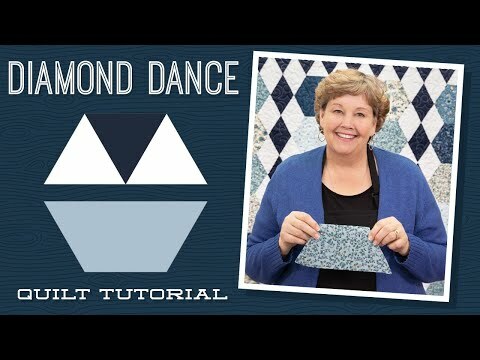 Diamond Dance Quilt Pattern by Missouri Star - Missouri Star Quilt Co. - Missouri Star Quilt Co. 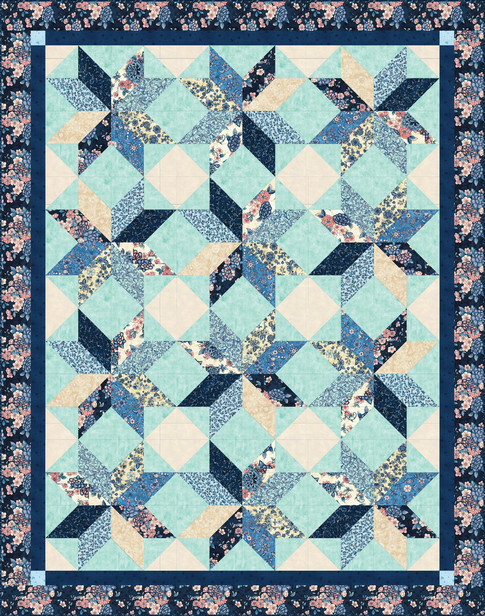 Dozens of diamonds dance in between rows of easy-to-sew half-hexagons in this enchanting quilt pattern. It's so pretty, it practically sparkles with joy! Create your own unique version of this quilt with one package of precut 10" squares, 3 yards of background fabric, and 1 1/2 yards in a coordinating color. And don't forget to pick up both a Large Half-Hexagon Template and a Rhombus Template to get the job done! Finished size: 90" x 88"